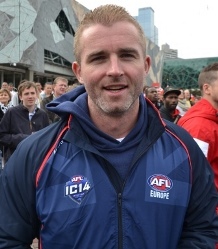 Meet the players - Brendan McGeever (Great Britain). How found footy : New Years eve in London bar and a Sydney guy told me there was an AFL League - found the Lions and never looked back. Tightest (stingiest) teammate : Any of the Scottish born players!! Star Wars or Star Trek Same thing isn't it?? 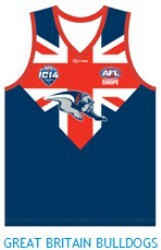 Huge honour to be playing with GB for my 2nd IC - massive tournament showcasing spirit of AFL around the world.